As I go through my closets and do a massive purge in preparation for Shop & Swap, I lament in the fact that I own WAY too many things. My next thought..."hmmm I need more tee-shirts". Clearly I'm a sick person but, I don't want help just more tee-shirts. 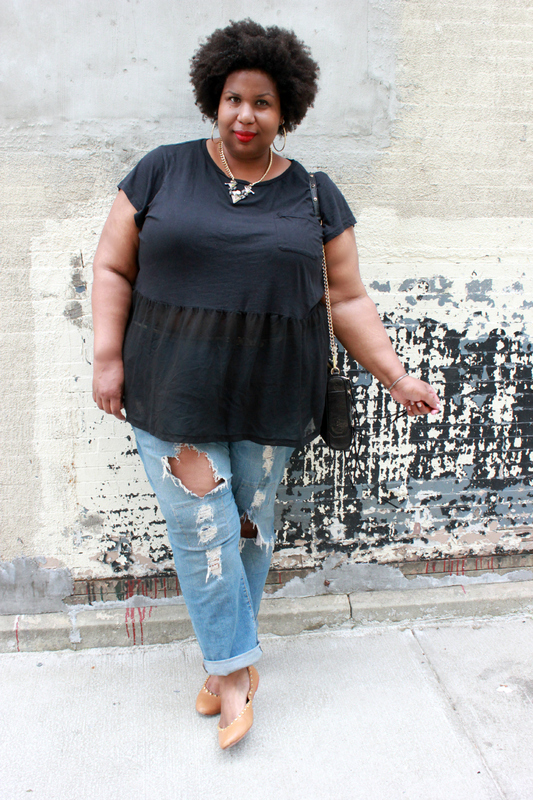 There's a serious dope tee void in plus size fashion. 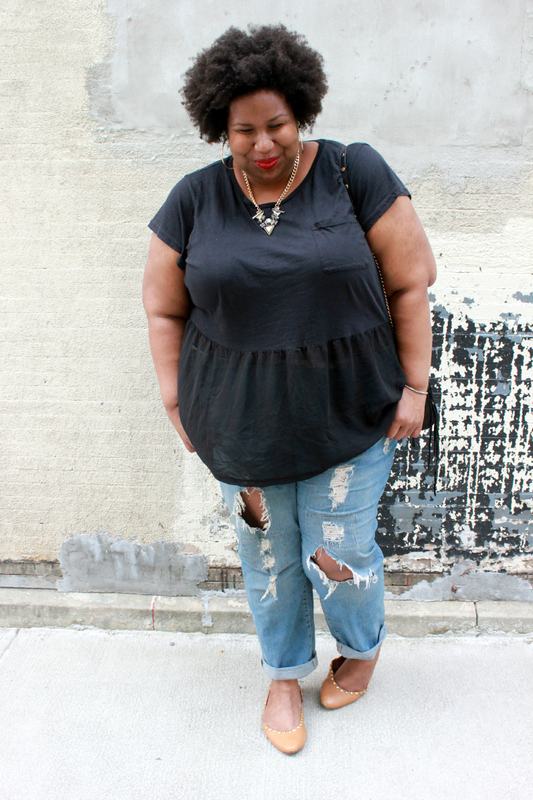 There's no shortage of graphic tees, and it's not that I don't like a graphic tee, it's just the plus size versions usually have ridiculous mantras about being "sexay" or "fabulous" and I'd sooner wear boot cut pants. No I "upside down" heart NY tee for the chubettes. Luckily I found this great faux crop (is that a thing?) tee from ASOS Curve. Part tee, part sheer, 100% totally wore this to see a client.